Learning to deal with the pressure and expectation of the legendary "Senna" name is something that Bruno Senna has to live with for the rest of his life, as long as he is in motor racing. 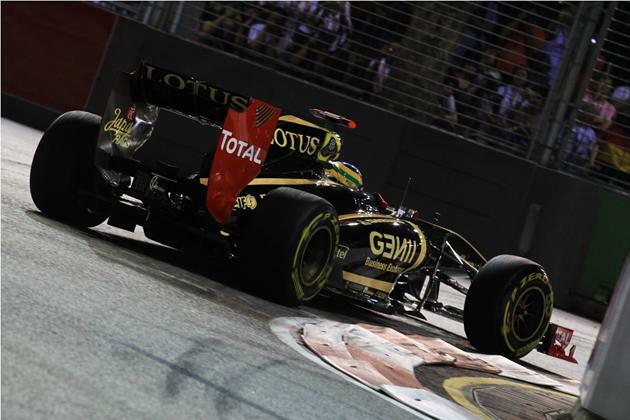 The 27-year-old Lotus Renault GP driver is the nephew of the late three-time Formula 1 World Champion Ayrton Senna, who is a highly respected driver of all time. It was tough in the beginning for Bruno, when he had to face all the attention even before he got into a car to race. He started in go-karts and was under his uncle's guidance before the unfortunate death. Bruno's racing career was abruptly paused, until Gerhard Berger (Ayrton's team-mate in McLaren in 1990 — 1992) came along to advise Bruno on his driving career. Senna drove in some Formula BMW UK races in 2004, moved to Formula 3 in 2005 and then to GP2 in 2007. His Formula 1 breakthrough was supposed to be in 2009 paired alongside Jenson Button for the now-defunct Honda Racing team. However, Honda withdrew from the sport at the end of 2008. When Ross Brawn bought over, Rubens Barrichello was chosen instead as there was little testing time left and a more experienced driver was needed. So in 2009, he did some driving in the 24 Hours of Le Mans and the Le Mans Series. 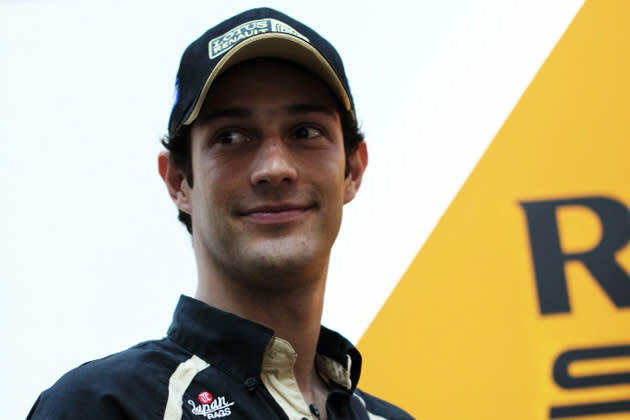 Senna finally made it into the sport in 2010 as a driver with new team Hispania Racing before switching to the Lotus Renault GP team for 2011 as a test and reserve driver. Sometime in August, Senna replaced Nick Heidfeld for the rest of the 2011 season from the Belgian Grand Prix onwards. He scored his first points in Formula 1 in only his second race for the team at the Italian Grand Prix. Q: I'm sure you get asked this question many, many times — how do you deal with the pressure of your last name? A: Due to my last name, I've faced pressure from the start. From the first time I was put into a race car, people were judging me, looking at me and comparing me to Ayrton. It was very difficult for me at the start, as I didn't have experience and didn't know what I can do. With time it became better and it's actually a great thing to be related to Ayrton and to have the name as it has helped me massively with sponsorship to fund my career. Then you get to a stage where the only thing that matters is performance. The first time I raced in a car in mid-2004 and there was a television crew from the biggest Brazilian broadcaster following me around. I didn't know what I had to do because I never raced in a car before. My first race was quite a disaster and I went off in the first corner. There was this pressure on myself that no one else had on their first race. Normally people start racing, start winning, and then get the attention. I started with the attention, which was always there. Fortunately I've learnt how to cope with it. Q: Did the pressure affect your driving? A: I got a lot of attention from everyone and there was pressure from the expectations that people had of me. I ended up putting bigger pressure on myself and I was very harsh on myself. At the start I kept pushing myself very hard and I didn't understand that there are limits and only so much you can achieve. Without the experience you don't know how much you can achieve within a period of time. Q: How is it like being in Formula 1? A: Last year was a very tough year (when I was with the Hispania Racing Team) but I learnt a lot. It's difficult to be in a car that's not competitive when prior to that the cars you've been in were competitive. Being in a car that was not in a position to score points or get on the podium — it's difficult on the mind. Still the experience was valuable and this year I'm much more on it with Lotus Renault GP. The car is faster and the team has more resources to work with to achieve what we want. F1 is the most competitive series you can be in. Here, you just look at the difference between the cars. You are fighting by the thousandth of a second. The pressure in F1 is enormous and you have to perform every time. There is always someone watching you and if you want a career in F1 you have to always be better than your team-mate, be faster than what people think you could be — that's not easy. Q: If you could choose anyone to be your team-mate, who would it be and why? A: It's hard to say — the important thing about your team-mate is being able to work with him. I've been able to work with most of my teammates so far and find progress with the car. A competitive teammate is important because if you're not on the limit this guy can show you the way. But you know, ideally it'd be a team-mate that I would beat every time and look good. Q: What's the most challenging track you've ever raced on? A: Formula 3 in Macau (Ed: Sebastian Vettel shares the same sentiments). It is a street circuit — fast track with low downforce and I was still relatively inexperienced when I raced there. I'm sure if I return there now I'd be miles better than I'd ever been but it's too late. Macau is the only sore point in my career in terms of street circuits. Q: What do you think of girls in Formula 1? A: F1 is very physically demanding. There are quite a few girls that drive very well in go-karts and single-seaters but once they get to big cars they start to struggle. We as men, we do marathons, Ironman, triathlons and all that and yet we find it tough to drive these cars to the limit for two hours. Hence, it won't be easy for a girl to do it. But in terms of driving capabilities, I'm sure they have it. Q: Do you think women make bad drivers? A: Men can be as distracted as women. The difference is that men like cars more and care more about cars, so you find more men who are into it. But there's nothing scientific that proves that girls are worse drivers than men. A: Being a reserve driver gives me more time to keep fit. This year I'm fitter but I'm also heavier. More time out of the car results in the putting on of some weight and in these cars weight is very important so I'm trying to lose weight now to get leaner. Q: What do you think of the documentary of your uncle? A: It is a great movie! People who like motor racing love it, people who don't like motor racing love it too. It's a movie that transcends the sport and shows Ayrton as a person as much as the driver he was and everyone in the family is very happy with the result. Q: One thing you want to try. A: Don't tell my mum — bungee jumping! Passionate about cars and motorsports, Cheryl Tay is a familiar face in prominent local, regional as well as international automotive titles. More of her at www.cheryl-tay.com.